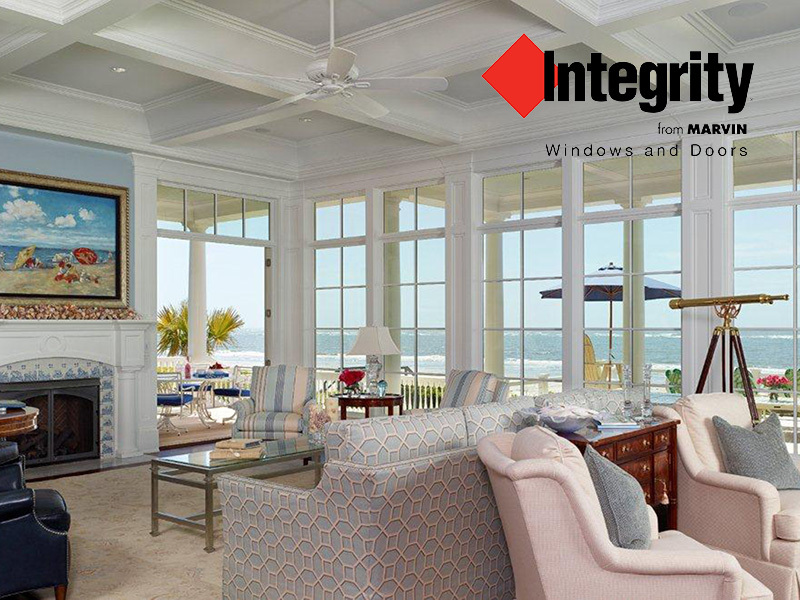 Integrity windows and doors are Made with Ultrex®, a patented pultruded fiberglass that outperforms and outlasts vinyl, roll-form aluminum and other fiberglass composites. Integrity uses Ultrex and their proprietary pultrusion process to manufacture high-demand windows and doors that endure all elements without showing age or wear. The facts prove it. Ultrex fiberglass is eight times stronger than vinyl and three times stronger than vinyl/wood composites. It resists fading, chalking, peeling and cracking, giving you unparalleled strength and durability. Marvin is constantly testing Ultrex to prove it’s the toughest window material available. Using Ultrex Fiberglass exterior paired with a rich wood interior, Wood-Ultrex has both strength and beauty. Constructed with Ultrex from the inside out, Integrity All Ultrex offers outstanding strength and durability.